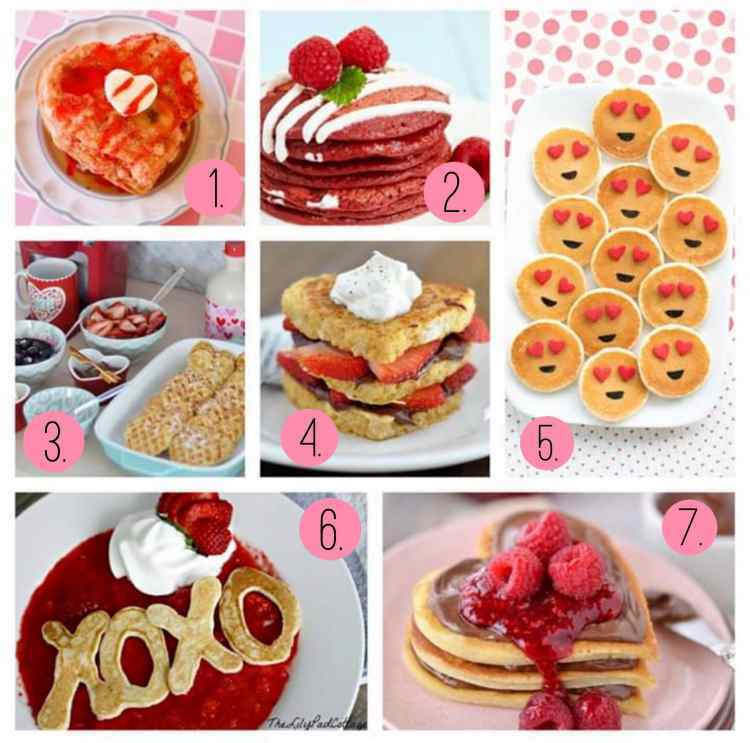 What is the best part about Valentine’s Day? Well, besides the handmade cards from our kiddos, the front runner is most definitely the treats! Valentine’s Day is just around the corner and what better way to not only connect to the heart, but also through the stomach? 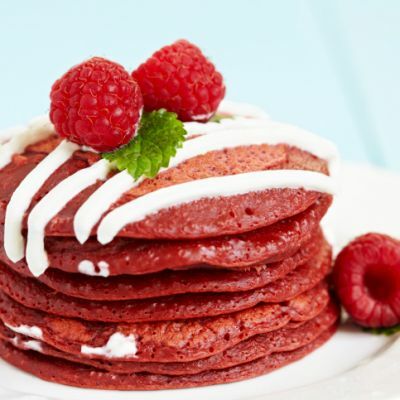 Start your morning off on a high note with these delectable breakfast ideas. Pin this page, so you have these fun ideas handy, come February 14th! 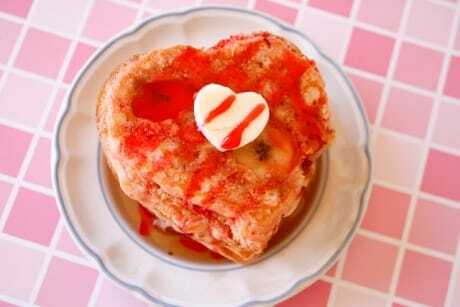 These heart shaped stacked pancakes are fluffy, light and oh so delicious! Top it off with a little strawberry syrup and dig in! The recipe is available at Delia Creates. These are sure to be a huge hit! My boys love colored pancakes and I know they will gobble these down Valentines morning. 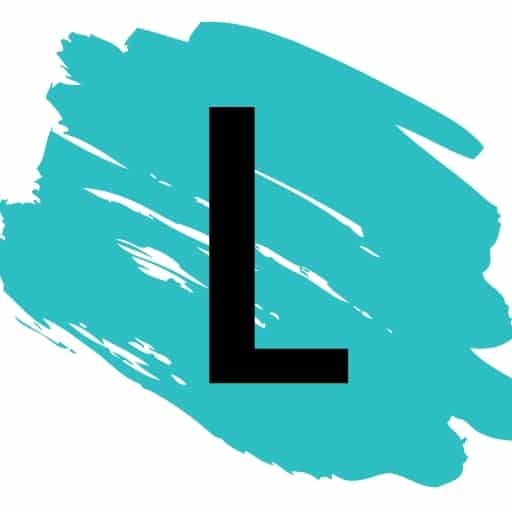 Jump on over to Recipe4Living.com to get the details. I love this idea for so many reasons. Christina showcases the cutest waffle bar along with most adorable display! 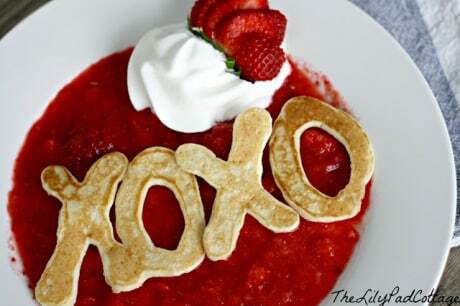 A heart shaped waffle iron is not necessary, but I love staying true to a good theme! 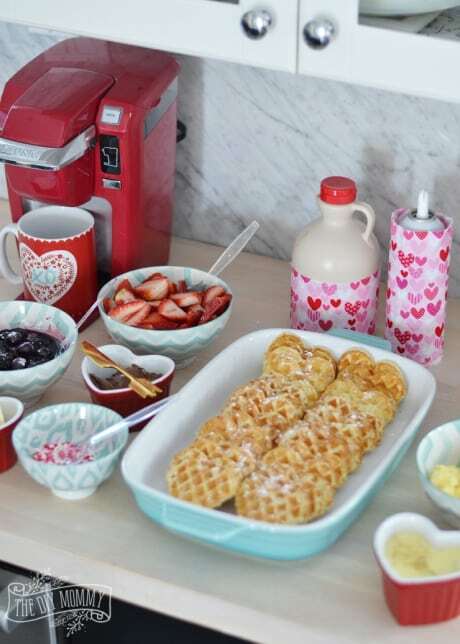 Head over to the DIY Mommy and brainstorm some ideas for your own waffle bar. 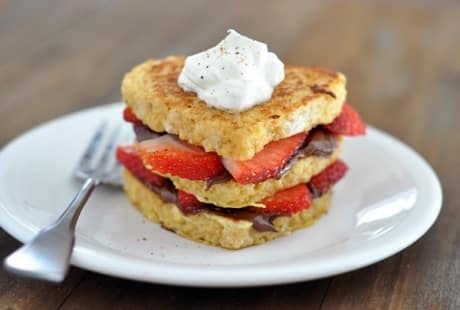 Check out this triple-decker Nutella stuffed French Toast! Okay, now pick your chin up off of the floor. Trek on over to Mel’s Kitchen Cafe for this recipe and more! 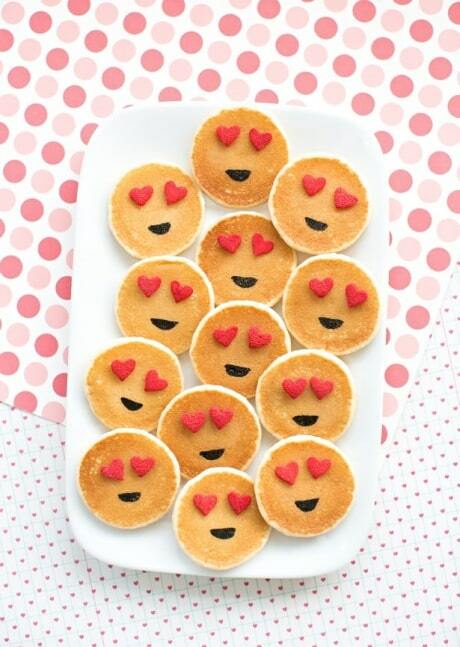 These heart eye emoji pancakes are guaranteed to put a smile on their face. You can find the recipe on Hello Wonderful. 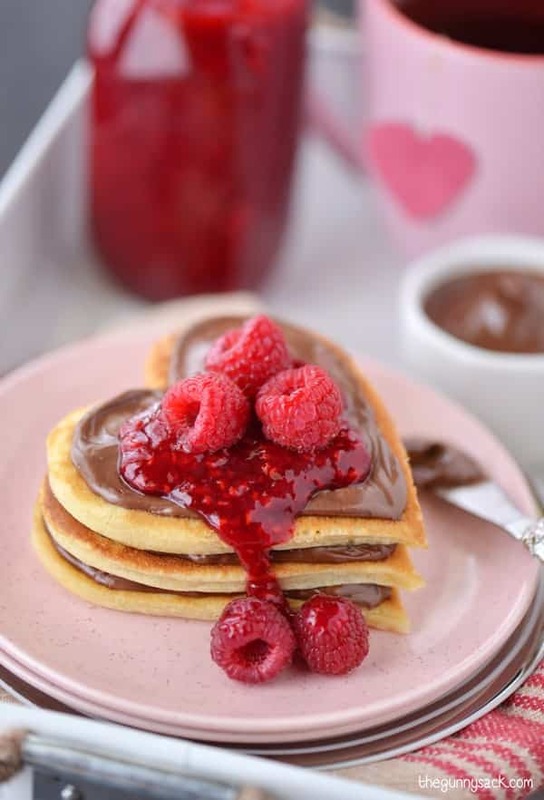 Start off your morning with this stunning stack of Nutella heart pancakes! Visit The Gunny Sack for more details.